Let me begin by stating that Jenny Han is a master at making her readers fall in love with her characters. Even characters you think you hate, you’ll find yourself genuinely liking and characteristics that are usually unbearable, you’ll end up liking about a character. It’s killer. (And one of the reasons why this book is such a page-turner). Lara Jean, the protagonist of the story, writes letters to boys that she once loved with no intention of sending them. She writes the letters to essentially give herself closure. Being a letter-writer myself, I immediately felt drawn to the plot and wanted to see where it would go. And let me tell you, it goes. You’ll see Lara Jean grow from the first book to the second. She started off as a homebody who keeps to herself, stays home to read or bake, and spends majority of her time with her two sisters and her widowed father. 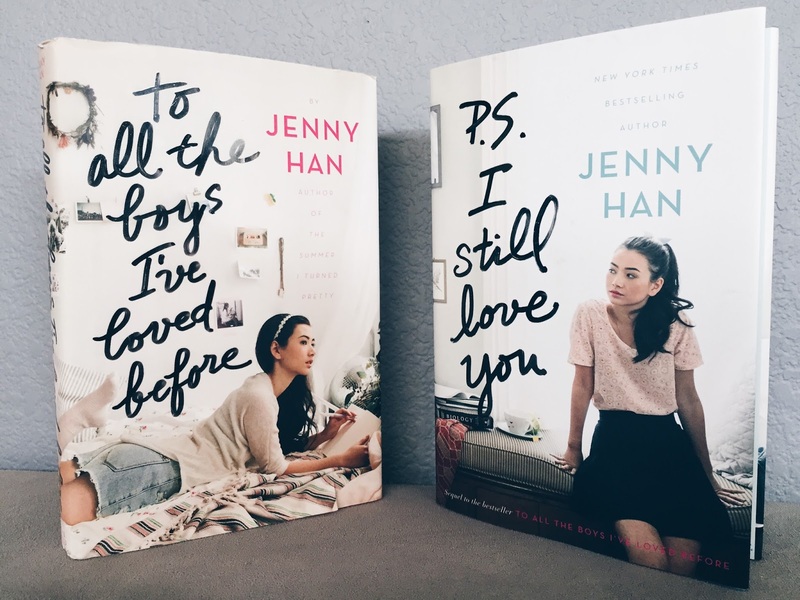 Until one of the boys she wrote a letter to, Peter Kavinsky, the “It-Guy,” of the school, brings about a change in Lara Jean she didn’t think would happen. The popular guy and the not-so-popular-girl; when is a story like that ever boring? If you’ve never fallen in love, reading,“To All The Boys I’ve Loved Before,” and “P.S. I Still Love You,” will make you smile in anticipation for when the day comes. If you have been in love, you’ll remember- even miss– the feeling of falling in love for the first time. In, “P.S. I Still Love You,” Lara Jean thinks that her letters have done all the damage it possibly could have until another handsome, dashing boy from her past resurfaces (yes, one she wrote a letter to as well). Not only is that new conflict exciting but the growth of her character is so satisfying to see. Cute boy characters you wish existed in your nearby neighborhood: Check. Friendships that will remind you of real-life friends you have (or had): Check. Relatable conflicts and resolutions: Check. A book that you’ll most likely want to read again & recommend to others: Check check. I really don’t want to give away more than that because this book is a nice, easy read. If you’re looking for something life-altering, this book’s not it. Sure, it definitely has lessons that mature readers can still get out of; little reminders to be more bold, to live a little more, to indulge in the simple pleasures of life (there’s a lot of baking in this book, so prepare to crave some sweets!) and many more. But overall, just like there are feel-good movies, this is a feel-good book. And frankly, it doesn’t need to be any more than that. (P.S. (*pun intended*) Buy both books at the same time. I almost died reading the first one, thinking it was a stand-alone book, only to be left with the worst (because it was the best), unexpected cliff-hanger ever, followed by the realization that I wasn’t going to be able to read the sequel until a year later. Buy it both; save yourself the frustration).